There are many special times in life as a martial arts instructor; most involve the success and growth of your students. Sometimes we get to experience one that stands out and you know will stick with you forever. This weekend was one. One of our students, Tiernan, came to us about 1 year ago at the urging of his grandmother. We all know being a teenager is tough and being a teenager in middle school may be one of the most trying times a person can experience. Being a teenager with autism in middle school is…well…you can image. His grandmother hoped martial arts would be something he could make his own, be calming force and reliable support structure in his life. Along the way we’ve had some coaching moments, pep talks and maybe one or two Coming To Jesus talks. The good thing was that he was focusing more and his effort started to be the best in class. This weekend, he stepped so far outside of his comfort zone that we weren’t sure what the ramifications might be and competed in a BJJ tournament. Competition can be feast or famine. It can bolster hunger to get better but also completely annihilate one’s self-confidence…a huge gamble for an autistic teen. Tiernan was visibly nervous (so were we) and a bit on edge. As a coach, bjj tournaments are incredibly hectic as you run from ring to ring coaching students and trying not to miss anyone. When Tiernan’s name was called, admittedly my heart jumped. A quick pep talk and out he went….and went he did. So busy coaching all the kids I almost didn’t realize what was happening. He was winning, and kept winning; 4 matches and a gold medal later the only person smiling bigger may have been his grandmother who stood on the side the entire time cheering him on. Huge isn’t even the word to describe what transpired this weekend for this kid. We’re incredibly proud of all our students. 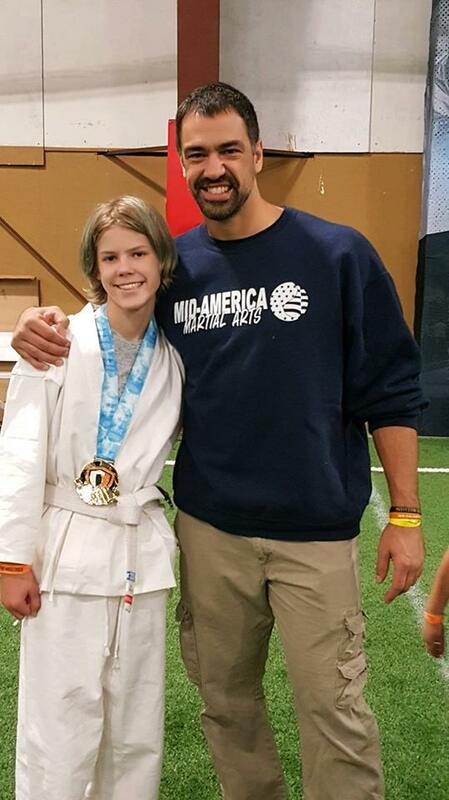 This weekend Tiernan re-enforced our belief in the power of martial arts and all the intangible benefits it brings to a person. Share the arts, introduce people to them (especially kids), and keep coaching; the impact instructors/coaches have on people is simply amazing. Next: Next post: MAMA Podcast Coming Back! !